Being a Registered Dietitian, my family’s well-being is super important to me! Yes, there are days where mealtimes can be a bit challenging, but I’ve figured out a way to face those challenges head on! 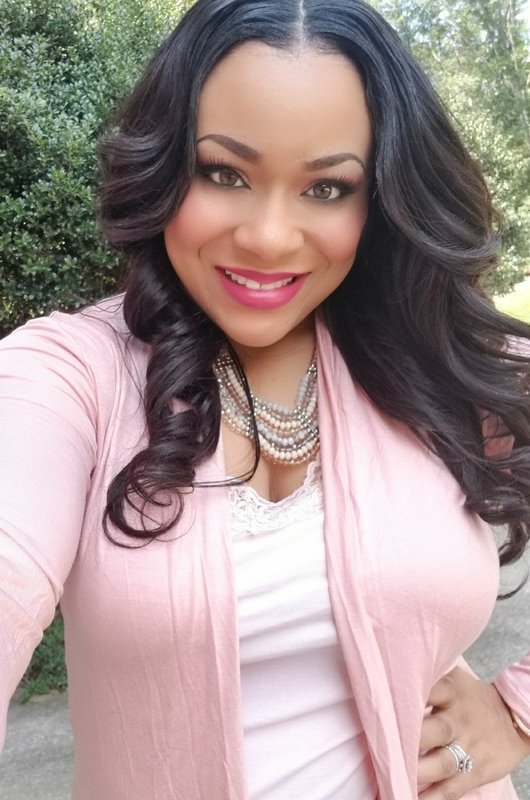 I simply take their favorite foods, and make a few simple swaps to provide them with a wholesome meal! See, easy right?! I guess you can just call me ‘Super Mom!’ ? Swapping the olive oil for Mazola Corn Oil. A clinical study showed Mazola® Corn Oil reduces cholesterol 2x more than extra virgin olive oil. To learn more about this claim, see Mazola.com. Choosing baking instead of the usual frying cooking method. Swapping the use of refined sugar for honey; a natural sweetener. As you can see, making a few changes to your normal recipes is very easy and will be a lot healthier for you and your family! 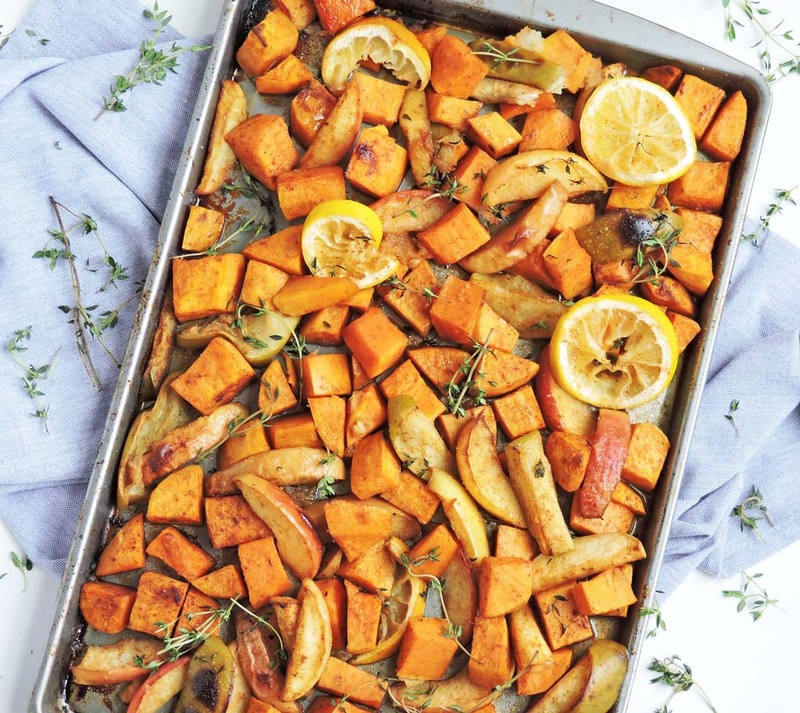 The idea for Oven Roasted Sweet Potatoes & Apples developed from my kids’ never-ending sugar cravings! As we all know, excess sugar and toddlers don’t mix very well! It often results in a tired, overwhelmed mama! Lol! My family loves sweet potatoes and apples so why not combine them into a tasty dish! 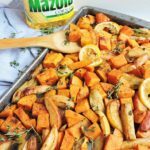 I started off by laying my sliced sweet potatoes and apples on a baking sheet and drizzling them with my Mazola® Corn Oil. 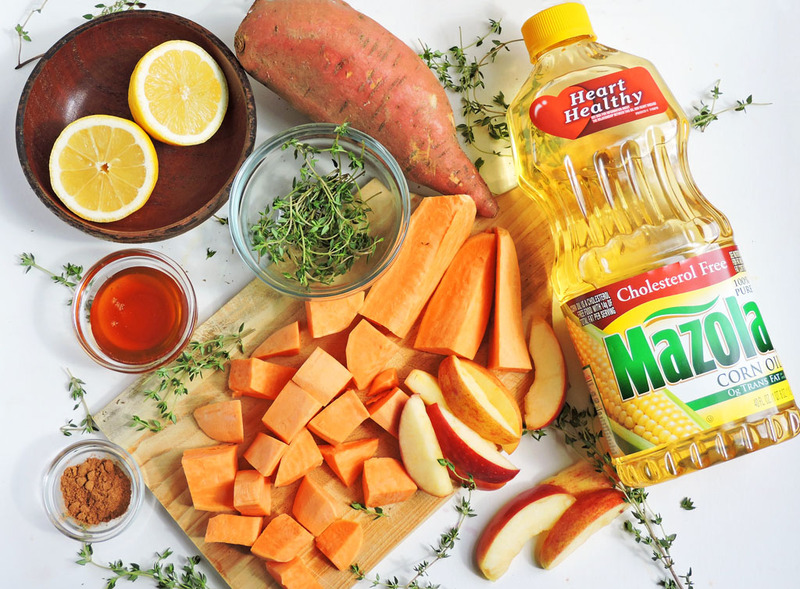 One of the many things that I love about Mazola® Corn Oil is that it has a smoke point higher than most cooking oils, at 450°F, and performs well in a variety of cooking applications, including stir-frying, sautéing, grilling and even baking. Many home cooks may not realize that all cooking oils have a smoke point that, once exceeded, not only can it negatively affect the food’s flavor. 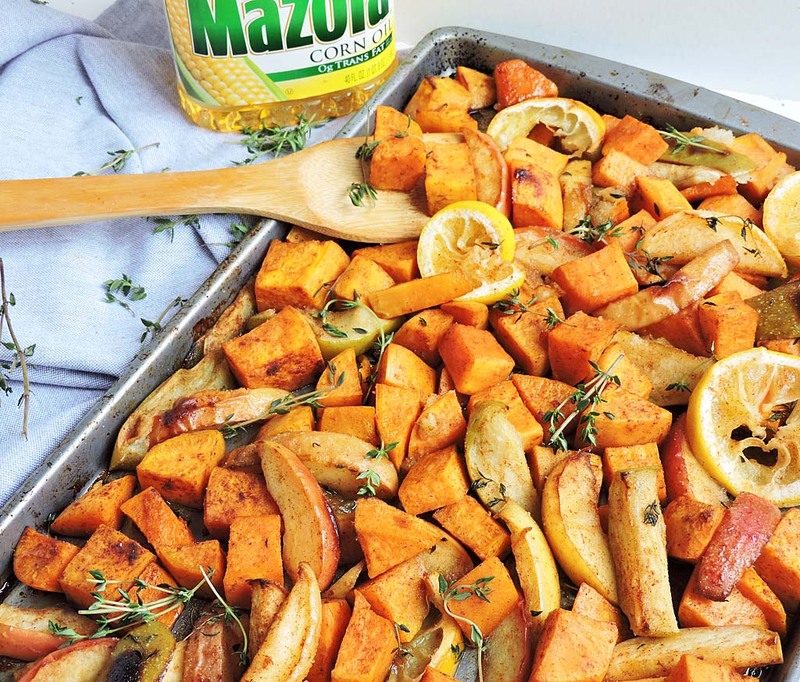 After, I drizzled my Mazola® Corn Oil over the sweet potatoes and apples, I drizzled honey, fresh thyme, cinnamon, sea salt and a splash of lemon juice! I used my hands (freshly washed, of course lol) to toss all of the ingredients together and popped it into the oven! I baked it for about 30 minutes and broiled it on high for a few minutes, towards the end. This gave the sweet potatoes and apples a slight crisp, yum!! 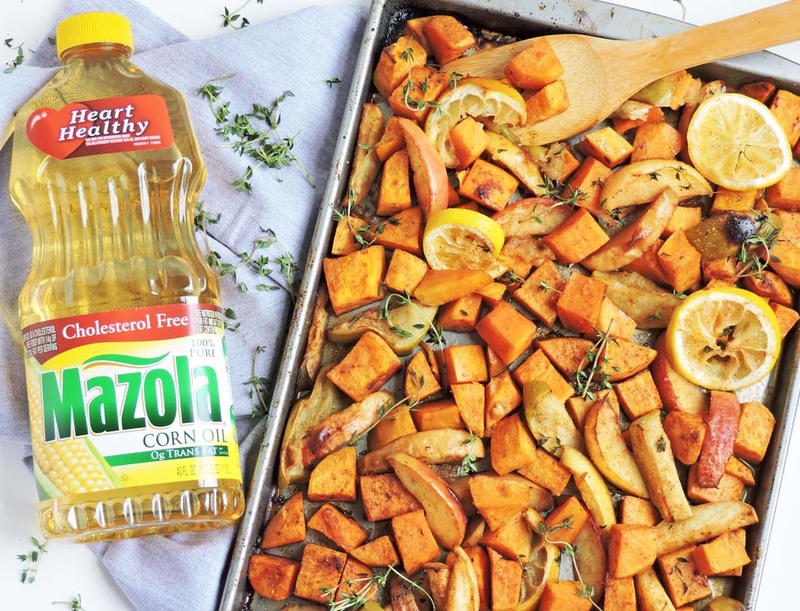 The Mazola® Corn Oil allowed the sweet potatoes and apples to roast to perfection! I’ve been in love with this corn oil lately, because it’s actually a better alternative compared to other cooking oils! Yeah, seriously! Mazola® cooking oil is made of 100% pure oil with no additives, so the great flavor of your food comes through! Some cooking oils can be so overpowering that it takes over your entire recipe, so it’s important to choose the right one. Y’all, my Oven Roasted Sweet Potatoes & Apples were a hit! All of those flavors paired so well together, and the Mazola® Corn Oil has such a neutral taste that it doesn’t negatively impact the taste of the ingredients! 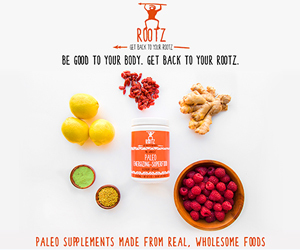 It lets the natural flavor of your food really stand out! I don’t often get a ‘Thank you mommy’ after meals, but I heard it several times after this meal! Lol! They didn’t even realize they were eating something that was actually better-for them! Winning! This dish is the perfect side to accompany any entrée or you can enjoy it by itself! Spread sweet potatoes and apples on a baking sheet. Drizzle with Mazola® Corn Oil and honey. Sprinkle with cinnamon, thyme, and lemon juice. Toss with hands or a large spoon to make sure that all ingredients are distributed evenly. Sprinkle with sea salt. You can choose to add slices of lemon if desired. Place in the oven and bake for about 30 minutes or until sweet potatoes are tender. Switch to broil and broil on high for about 5-7 minutes. This looks so delicious. I will be definitely trying this out with out a doubt! Thank you! Let me know how it turns out!! ? This was so good I didn’t even know what all I was eating until it was all gone! I can’t wait to have this dish again! Lol!! I’m glad you enjoyed it!! 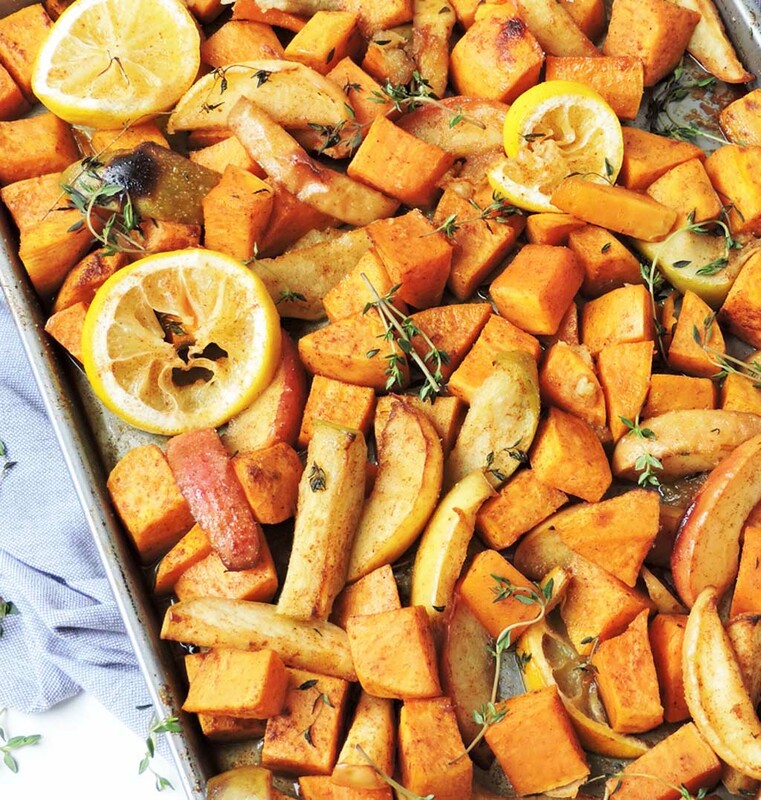 I love sweet potatoes and roasting veggies in the oven really brings out the flavor. Thanks for your participation on this shop. Thank you!! It was a lot of fun!! I really enjoyed creating this recipe!! 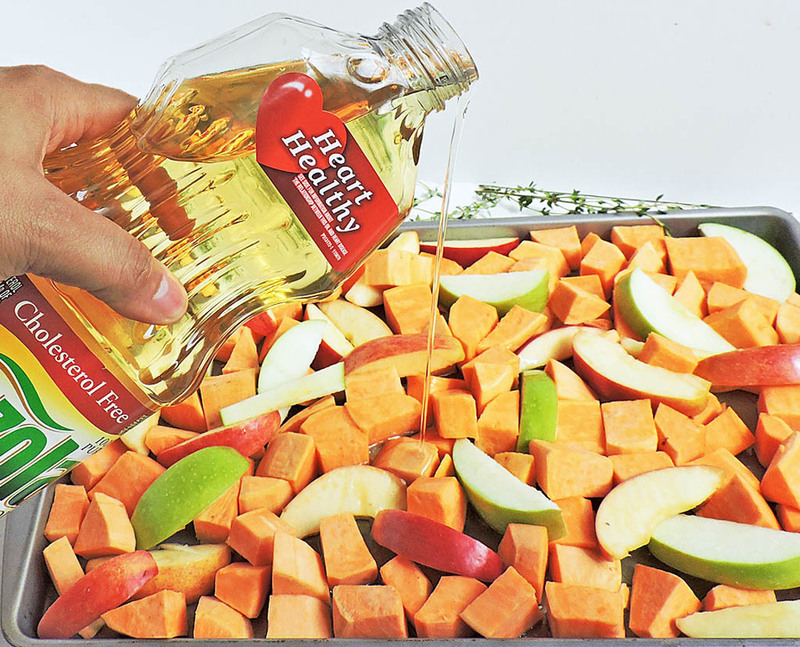 I buy this oil all the time…but I’ve never tried sweet potatoes and apples roasted…sounds delicious!!! I can always count on you new dinner ideas…Thanks! Thank you! I hope that you try it and let me know what you think!